ST1 Series | Japan Aviation Electronics Industry, Ltd. The ST1 series are one-piece type external connectors for TransFlash/ (microSD) Card. 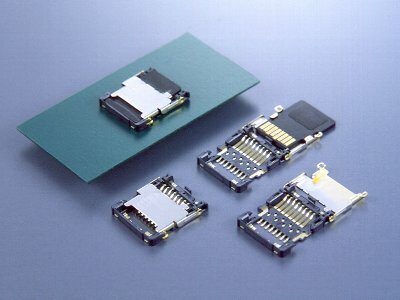 High density SMT mounting type low profile connector compatible with TransFlash/ (microSD) cards, standardized by SanDisk Corporation/ SDA (SD Card Association) as a compact card for various portable devices. * TransFlashTM is a trademark of SanDisk Corporation/ microSDTM is a trademark of SDATM. Push-slide hinge type connector for TransFlash/microSD Memory Card. Compact, low profile designed with 2mm height, 16.3mm depth and 14.15mm width.